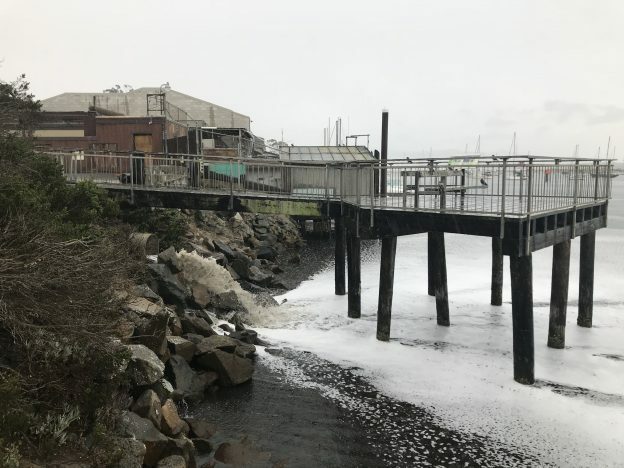 Rain returned to the Central Coast this week, bringing precipitation totals between one third of an inch and six tenths of an inch within the Morro Bay estuary watershed. This storm came after a six-month break in significant precipitation and just after the October 1 start of the new, 2019 water year. A water year is a twelve-month period of time that begins October 1 of one calendar year and ends September 30 of the next. The reason that the water year differs from the calendar year is that, in many places, precipitation that falls as snow during the fall and winter creates a snow pack that doesn’t melt until spring or summer. By setting the start of the water year on October 1, scientists can track precipitation from the time it falls as snow in the mountains to the time it melts and feeds creeks and reservoirs all within the same water year. This first storm event of the water year created enough runoff to flush out the oil, other chemicals, dirt, debris, and trash that had accumulated over the dry months in our storm drains. The first time this happens each year is called the First Flush. The video above shows oil washing down a gutter with runoff from the first storm of this water year. Unfortunately, stormwater runoff is not processed like water that goes down the drains in our homes. It flows directly from creeks and storm drains into larger water bodies, including the Morro Bay estuary and the ocean. This video shows stormwater from this recent storm running off roofs, streets, parking lots, etc. entering Morro Bay through a storm drain near the Estuary Program office. Runoff can contain sediment, bacteria, and chemical residue. Because of this, it’s best to stay out of the water for 72 hours after it rains. 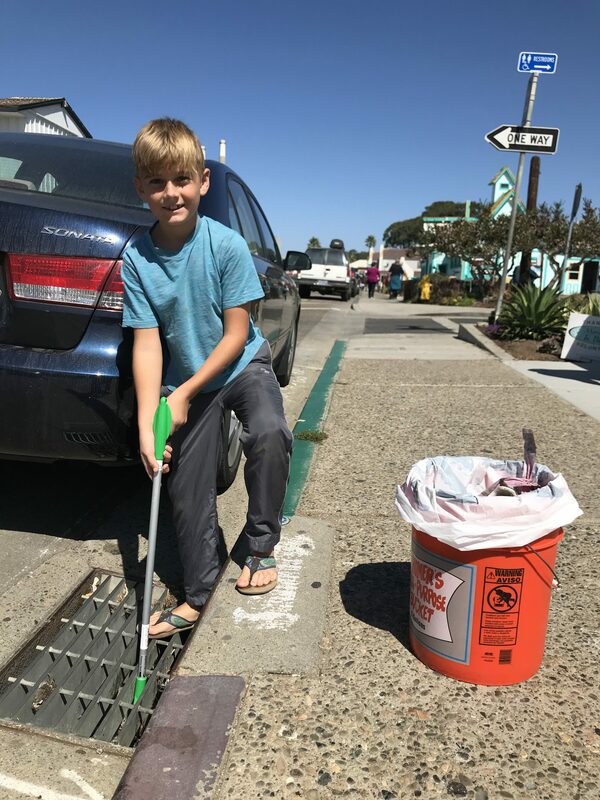 The good news is that this first rain came after California Coastal Cleanup Day, when 1,312 volunteers came together at 35 sites in San Luis Obispo County and picked up 5,688 pounds of trash. That’s more than 5,000 pounds of trash that made it to the dump or to the recycling station instead of being washed down streams and storm drains and into the bay or the ocean. Everett expertly freed cans, bottles, and other trash from this stormdrain. Without his help, they undoubtedly would have ended up in the bay during the first storm of the year. Thanks, Everett! Four of those sites were located around Morro Bay. Learn more about Coastal Cleanup Day and the organizations and volunteers that made it happen. 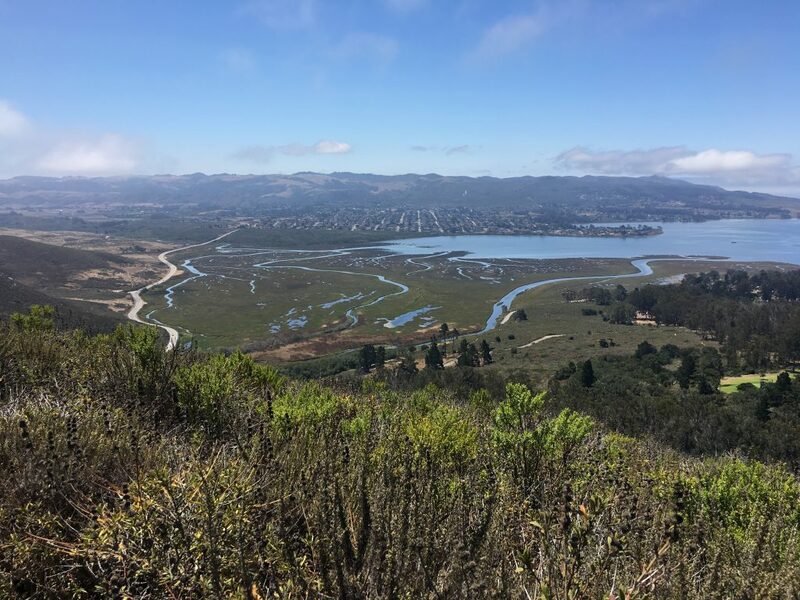 Though stormwater can create water quality issues, rainfall is very important to the Morro Bay estuary and the lands that surround it. We all know that rain helps plants grown on land, but rain is also important for plants and wildlife that live in the water. 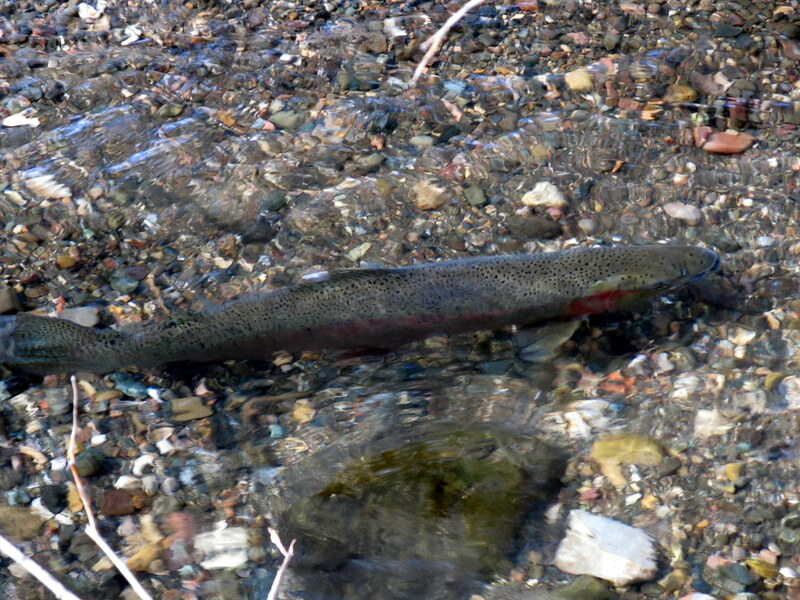 Adequate rainfall helps fish survive the dry season, and it can make the difference for steelhead trying to reach an upstream site to spawn. Steelhead trout like this one spend time in the ocean maturing and then return to the streams where they hatched in order to spawn. If conditions are right and there is enough water for them to make this upstream journey, steelhead can complete this cycle multiple times within their lives. Rainfall and freshwater flow from creeks also help to balance out the salt content of the ocean water that enters the estuary from the harbor mouth. Salty ocean water enters the bay through the harbor mouth just south of Morro Rock. 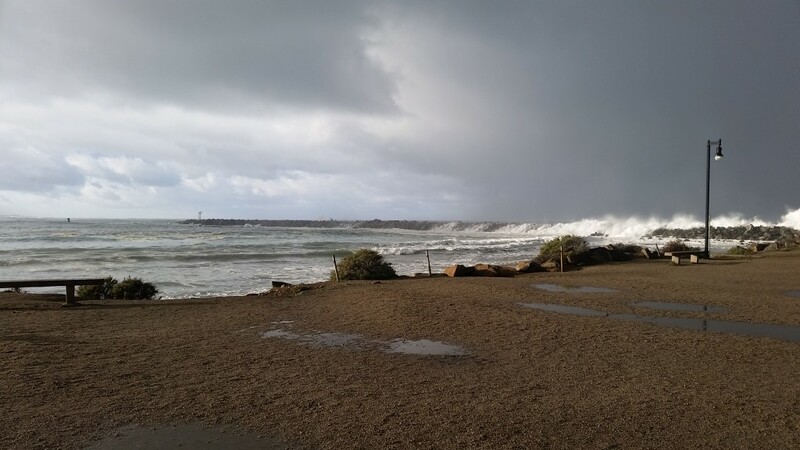 During big storms, like the one pictured above, waves can even wash over the jetty. Be very careful to avoid the jetty and surrounding areas at this time. Always heed safety warnings from the Morro Bay Harbor Department and other authorities. The County of San Luis Obispo has a wonderful website that tracks rainfall and streamflow at certain key sites countywide. This kind of information is very accurate and invaluable, but there are only a few stations within the watershed. Because of this, we’ve created the Morro Bay Rain Gauge Network. Our network is different because it relies on citizen scientists to gather hyperlocal data from their yards, schools, businesses, offices—any outside space where a small rain gauge can sit undisturbed and collect the rain. Pick up your free Morro Bay rain gauge at the Estuary Program office any weekday between 8:30 a.m. and 4:30 p.m. This very specific data helps us see how much precipitation is draining into the upland tributaries that run into Chorro Creek and Los Osos Creek and then out into the bay. Two main creek channels flow into Morro Bay. 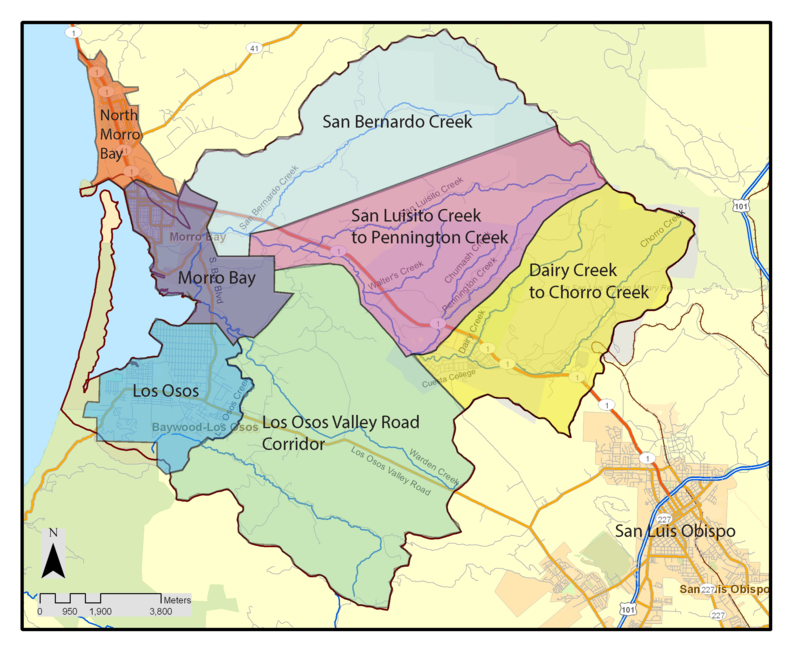 Los Osos Creek flows in from the south and Chorro Creek enters the salt marsh and empties into the bay to the north. Both of these main creek channels and many of the small tidal channels are visible in this photograph. In order to make the watershed picture complete, we need to have Rain Gauge Network participants in each area of the map below. Check it out to see if your home, school, or business is in one of these areas. If you are located in one of the areas labeled on the map above, please join us. Here’s how. Pick up your free rain gauge from the Estuary Program office. Or, use a rain gauge that you already have at home. Install your rain gauge in an open area away from overhangs, gutters, and downspouts. 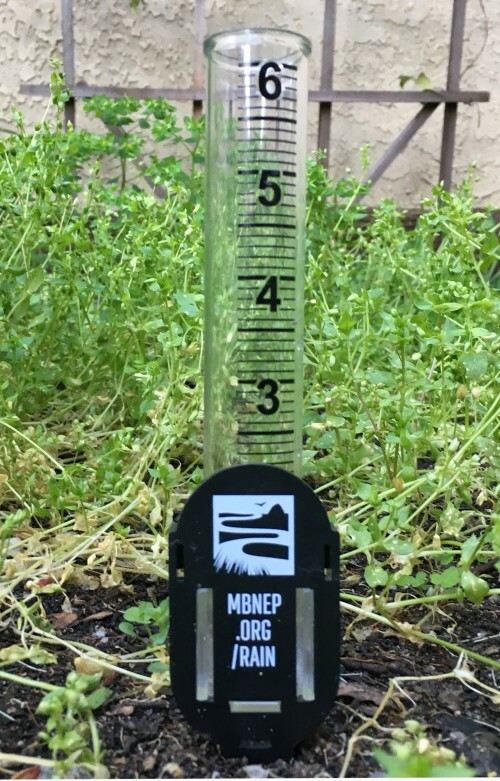 Whenever it rains, make a note of how much rain collects in your gauge. It is best to do this once a day during multi-day storms. Visit MBNEP.org/rain and scroll down to the data entry form. Enter your email address, choose your date and your watershed section, and enter your rainfall total. We recommend checking your rain gauge at the same time each day and entering data for every day that you receive measurable precipitation. You can enter your data after each storm, or keep notes on your measurements and enter them once a month. It’s up to you! Just make sure to select the correct date for each measurement. Watch your new data pop up in the Rain Gauge Network table. It will be averaged with other Rain Gauge Network stations in your watershed section, but you’ll also get to see data just for your rain gauge station displayed on the screen. We just updated the network to make it easier to use and to manage. Over time, the data in this table will accumulate and allow us to compare data season over season and water year over water year.